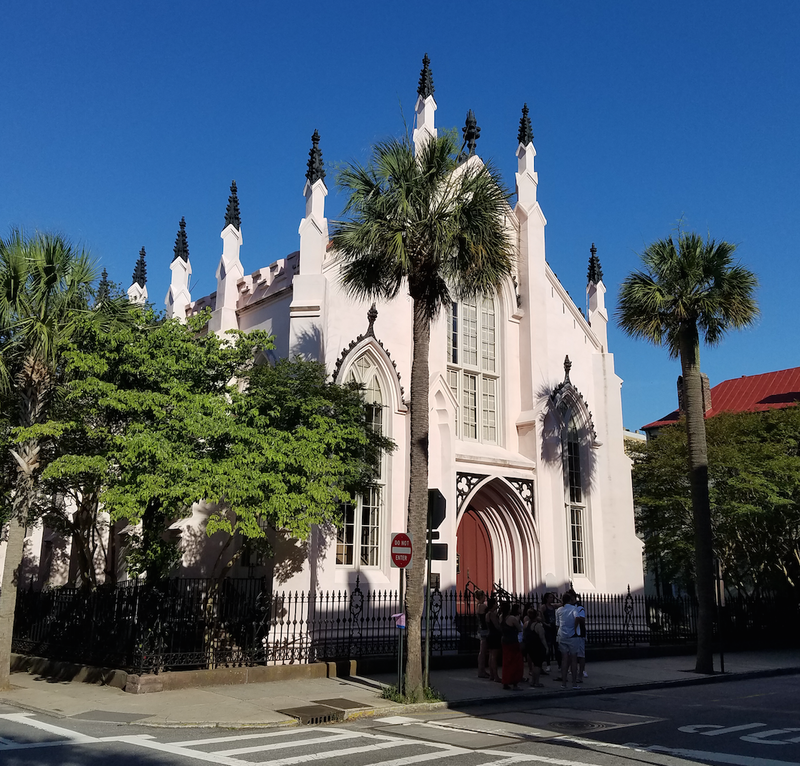 The French Huguenot Church in Charleston, South Carolina, one of the many church buildings in the “Holy City.” It is a beautiful structure, where I saw at least two, presumably engaged couples, getting their photo taken on the church steps. My wife and I recently returned from a trip to Charleston, South Carolina, a city loaded with history. Charleston is known as the “Holy City,” due to the large number of church steeples that dot its historic skyline. One of these churches peaked my curiosity, as it ties into a lot of my family’s history. The old French Huguenot church, in Charleston’s “French Quarter,” has a remarkable story behind it. Though the worship building was built in 1844, the French Huguenot community in South Carolina dates back to the late 17th century. In the previous century, during the tumultuous 16th century of the Protestant Reformation, a rapidly growing community of Reformed-minded Christians was spreading throughout France. The ideas of sola scriptura (Scripture alone), sola fide (faith alone), and sola gratia (grace alone), championed by Reformation leaders, such as Martin Luther and John Calvin, had captured the imagination of about 1/4 of France’s population. But tensions were running high between these advocates for Reform, and more traditional Roman Catholics. Theology was mixing with politics to create a lethal stew. In one of the greatest tragedies of Europe, thousands of French Reformation believers, their families, and particularly their leaders, were killed during a mob uprising, the infamous Saint Bartholomew Day Massacre, in 1572. The massacre signaled the end of religious freedom for those advocates of Reform in France. Of those who survived the massacre, thousands more of these French Protestants, also named “Huguenots,” (for unclear reasons), were forced to leave the country over the next 100+ years. This is where we get the modern word “refugee” from, a French word originally used to describe Huguenots who were exiled from their homeland. Protestant countries across Europe extended asylum for these refugees. But the number was so great, that it became impractical for these French believers to remain in Europe. The “New World” in the Americas was opening up at the time, so a number of these refugees sought to try to make a new life for themselves in the Americas. At least one of these groups of refugees, that eventually passed through England, then found their way to Virginia, in 1700, to live in a former Native American village, Manakin, southwest of Richmond, Virginia. A line of my ancestors, from the “Sallé” family, helped to establish Manakin, eventually blending into the larger surrounding, English-speaking society. 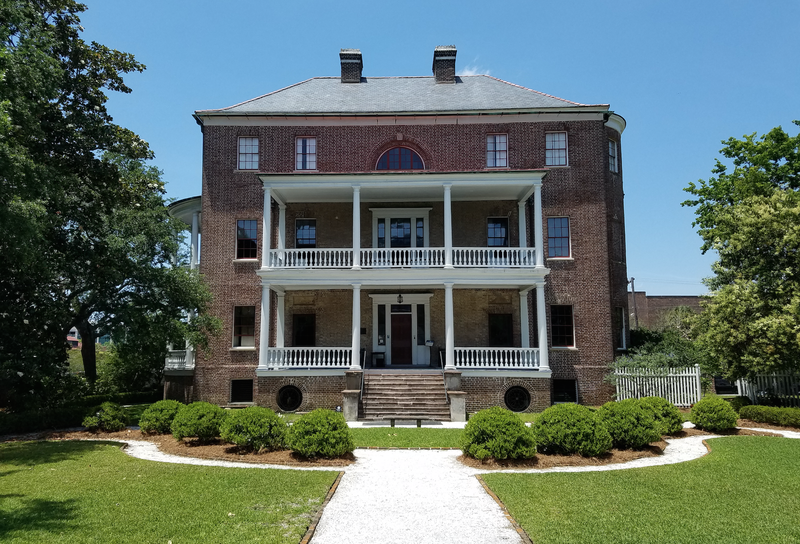 Joseph Manigault, descendant of French Protestant refugees who made it to the colony of South Carolina, built this grand Charleston home, from the wealth he gained from African slave-labored rice production. Another group of French refugees made their way to Charleston, South Carolina, my focus here. The Huguenots of Charleston were enterprising, many of them being from the merchant and tradesmen classes, originally in France. Like their Virginia counterparts, these French Protestants began to blend into the larger English-speaking society as well, though many of them continued in passing along their Protestant Christian heritage. The early 19th century home of Joseph Manigault, a descendant of these earlier French Huguenot pioneers, built a very large home in Charleston, which is now available to the touring public. It is tragically ironic, that the Manigault family, who left Europe because of oppression, became members of the ruling, elite class of antebellum South Carolina, making their fortune on the backs of African slave labor, through their network of labor-intensive rice plantations. The Charleston Slave Mart Museum, originally a private slave market that opened after the public slave trading ended in Charleston, in the early 19th century. While touring the Old Slave Mart, an indoor market where slaves were bought and sold in the first half of the 19th century, I discovered another French Huguenot connection. 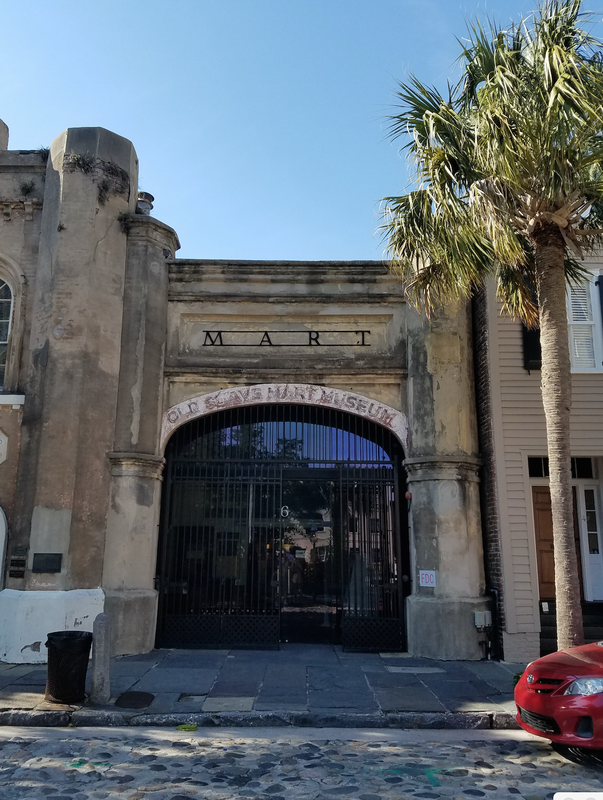 The Slave Mart interprets the history of the slave trade in Charleston. Some 40% of all African slaves, who entered English-speaking America, passed through the port of Charleston. “Gustavus Vasa” has been an awkward name to pronounce, for Americans like me, so I was glad just to call my uncle as “Gus.” Nevertheless, the story is important. Presumably, my family’s ancestors passed the name down as a way of remembering what this Swedish king did to save the lives of my great-great-????? grandparents. 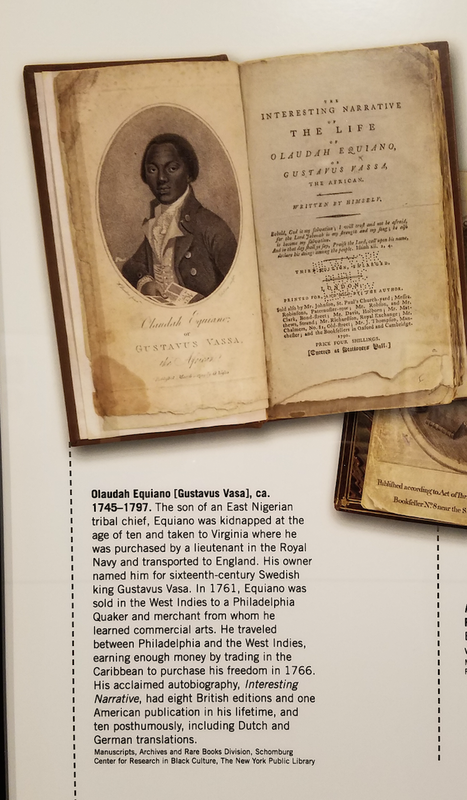 Olaudah Equiano (alias “Gustavus Vasa”) exhibit in the Slave Mart museum, in Charleston, SC. Anyway, back to the main story… this particular African American slave, Olaudah Equiano (alias “Gustavus Vasa”), was eventually sold to a Quaker, who allowed Gustavus Vasa to purchase his own freedom. Upon gaining his freedom, Gustavus Vasa had not only become an outspoken evangelical Christian, with a vibrant love for Christ, he had also became an early advocate for abolition among freed African Americans, preserving his story in The Interesting Narrative of the Life of Olaudah Equiano, or Gustavus Vassa, the African. This trip to Charleston, South Carolina helped me to piece together some things in my family’s history. 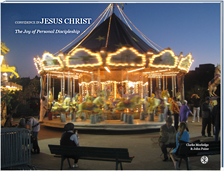 But it also helped me to consider some of the more complicated elements of following in on the Christian journey. On the one hand, I am inspired by the courage of my French ancestors, who stood for their evangelical faith in Christ, during a time when mass hysteria against French Protestants threatened their very lives. But I also see how tenuous it is to pass on this same faith from one generation to another. It disturbs me that it only took a few generations for descendants of once persecuted Christians to forget their past, and become the persecutors of others. But on the bright side, I am encouraged that an ancestral name in my lineage made its way somehow to one of the early advocates of abolition, a movement that eventually led to end the scourge of racial-based slavery in the United States. This entry was posted on Friday, June 2nd, 2017 at 11:57 pm	and tagged with charleston, huguenot, south carolina and posted in Topics. You can follow any responses to this entry through the RSS 2.0 feed. « Idols and Images: Ten Commandments, Yes, But How Do You List Them? I happened upon your comments of June 2, 2017 while struggling with my own ancestral/slave owner thoughts. My French Huguenot ancestor was Benjamin Marion, which, according to research, brought slaves with him to the Colonies which in turn allowed him to receive a land grant. Owning slaves wasn’t something they began to do here in America, it was something they participated in while feeling persecuted themselves in France. It seems that people through the ages pointed to the Bible to back their position no matter if they were pro or antislavery. I have been “googling “ to try to get a sense of when and who actually became enlightened finally! Looking at timelines it would seem that a society’s new sense of morality often kicked in when the cost of maintaining slaves was more than the cost of hiring labor! It has been a bit of a disheartening search! I can empathize with the “disheartening” aspect of your search. It is difficult to believe in our day that slavery was often just accepted as being sanctioned by Christian belief, less than a few hundred years ago, but alas it was. Thank you for contributing to the Veracity blog.